Opera Bravura Orchestra "Vengeance, Betrayal, Desire & Fire!" Don't think you like opera? This is different! Come hear the best pieces from 20 different operas and orchestral works by Verdi, Puccini, Wagner, Tchaikovsky, Dvorak, Glinka, Cilea, Massenet, Grieg, Bizet, Chabrier and more! 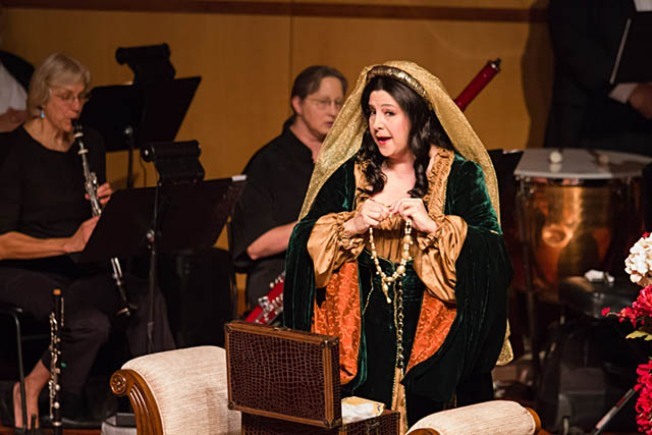 Four singers in full costume will thrill you with arias and scenes from Aida, Madama Butterfly, Carmen, Barber of Seville, Rusalka, Samson and Delilah, Tosca, Hamlet, The Pearl Fishers, and others! A 35-piece orchestra will perform familiar pieces that will surprise and delight you. Don’t miss this one-night-only opportunity to hear some of the world’s most gorgeous music all in one show!